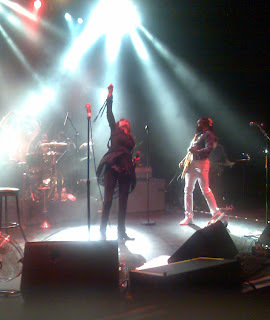 Two worlds collided at the Palais on this night of orchestral and rock music with some very interesting results. For our headline three acts, the pub circuit was basically their baptism into live music - a fact that becomes very prevalent during this slightly bizarre union. 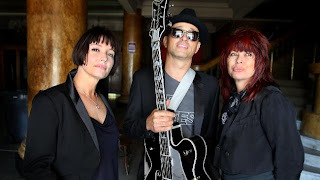 The idea to combine three leading Australian rock acts with a 30 piece orchestra was dreamed up by musical director Tim Count who asked all three artists to compile a set list of their best loved songs, which would then be arranged for an orchestra. The concept was in many ways was exciting but there were quite mixed results in practice. Of the many highlights, we are privy tonight at a rare public appearance by the first lady of Australian rock - Chrissie Amplett along with a newly assembled Divinyls line up. The vibe amongst the mostly over 30s crowd at the start of tonight's show is subdued for opening act Diesel. His regular touring means many fans tonight are unlikely to have missed him, but seeing him pull out hits from his days with The Injectors (Cry In Shame) is a rare treat. The obvious problem with Diesel's part on this bill however, is his music – based in traditional blues rock - and the string accompaniments simply don't mix. Despite the up tempo song choices, it's clear the two bands are not gelling at all and for a while it's easy to ignore the fact also that Diesel's band is much louder than the orchestra, and poorly amplified as the drums dominate the set, but before long I'm hanging out for the finish. He does although get some points the for song choices; Masterplan and Tip Of My Tongue which work particularly well with strings. The recently returned Baby Animals were right into the idea of the symphony shows from the start but during their set, similarly to Diesel, sound problems plague the show. 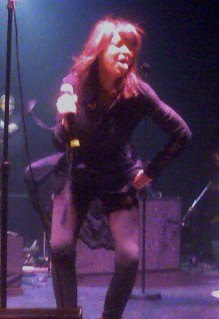 Putting this tour together involved working by correspondence on occasion – Amphlett and Suze DeMarchi (Baby Animals) both live in the US now – and only two days of rehearsals were organised meaning the chances of everything going to plan were pretty slim, considering the amount of performers on stage. Unlike Diesel who soldiered through the obvious problems, Baby Animals - who of all three acts are the most straight up rock band here – struggle to get their performance just right. Stopping between each song to adjust mics, levels and volume, the Perth based group play a heavy, punchy set in the mode of 'get loud to compensate for the missives'. Opening with hit Rush You, they keep the noise and tempo up until midway through when ballads Painless and Make It End allow the orchestra to shine through. Typically, Suze DeMarchi is in top form showing incredible vocal strength and unconstrained energy, while her band plays at the intensity usual for a festival crowd. With respect to the other acts, it's Chrissie Amphlett who's the real draw card tonight. Her set is preceded by a stunning original overture, building along with the noticeable excitement in the Palais. The muttering in the stalls stops immediately for the music as we know it's only moments before the one-woman tsunami of rock steals our senses away. For the first time tonight, the orchestra gets to show their stuff and take the focus from the rock bands, but just as the comfortable feeling of swirling strings and horn blasts sets in, a spot light catches the sight of four men quickly entering the stage and parking themselves in front of the orchestra. Nobody could contain themselves anymore. As nice as it was to hear the symphony's overture, and as awful as it was to have sit down for the whole show - nothing else matters now that silhouetted figure in a long flowing overcoat and fedora appears sheepishly in the wings, motionless, but already teasing us with the very slight tilt of her head skyward to let the light catch her pouted lips - the Amphlett trademark expression. 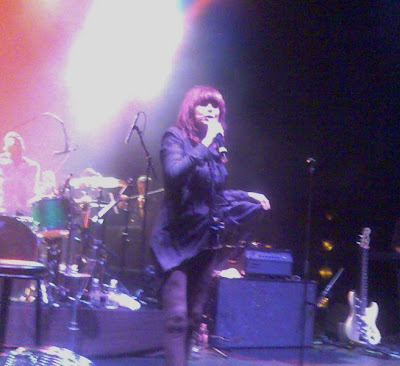 The Divinyls singer slowly begins to make her way to centre stage assisted by a walking stick. This spectacle is both funny and alarming as the full impact of her Multiple Sclerosis becomes all too clear. In the moment, I am certain she is hobbling for effect in her layered tramp-like overcoat and face obscuring hat, as though she's about to burst out of her imprisoning outfit and become the pogo-ing Chrissie Amphlett of old. In truth the singer had to retire from music several years ago because of her illness which tonight has visibly taking it's toll. This is Chrissie's evening though and every person in the room is with her all the way. Meanwhile, the band have been laying down some slow grooves with only faint orchestra backing as Chrissie positions herself at the mic and without warning starts to croon; "Lover, lover why do you push/Why do you push, why do you push...". Her voice is incredibly commanding, and we all end our applause as if scolded for mis-behaving. The re-arrangement of Pleasure & Pain both a triumph and a shock; here we have the rock and symphony bands working together perfectly for the first time tonight. The song's new seductive edge works so well and allows Chrissie to ease into the performance, saving her energy for the more demanding power rock tracks yet to come. It's only after this song, Chrissie ditches her walking stick and starts to remove the oppressive looking grey overcoat, under which she is beautifully attired in a black tailored jacket and ballooning skirt cut just above the knees and black body-hugging trousers buttoned at the cuffs. (I'm wondering how many fans here were surprised to see the trademark school uniform hasn't been let out to play tonight.) 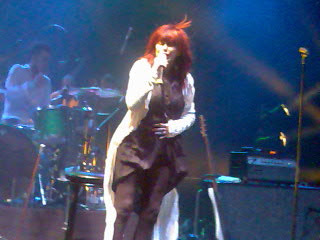 After Amphlett struggles out of the coat to wild applause and finally lifts her hat to reveal long boldly dyed red hair cut just at eye level - the way she's always worn it dating back to the Divinyls debut in 1980. The band's two earliest hits Science Fiction and Boys In Town follow Pleasure &amp; Pain, played closer to their original sound than the opener. The strings thankfully remain subtle on Boys In Town - it is after all meant to be tense and cold. Science Fiction however is helped along by an intruding timperley, giving the song an energetic lift. The last Divinyls hit single, I'm Jealous (number 14 in 1996), receives a glorious remodeling with the cellos soaring above the gentle guitar melody. In moments like these, it becomes apparent that Divinyls embraced the orchestra idea and used it greatly to their advantage instead of just playing loud with apparently unrelated chamber music going on in the background. Baby Animals and Diesel didn't really take the chance to augment their music with the orchestras help for the most part. 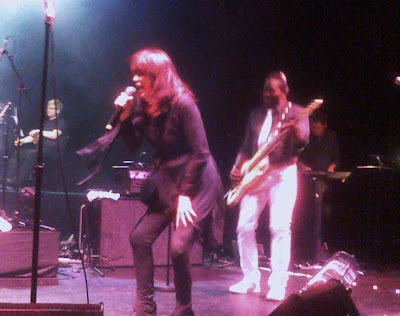 Chrissie Amphlett has one advantage though, she's worked with both rock bands and orchestras and it does show. 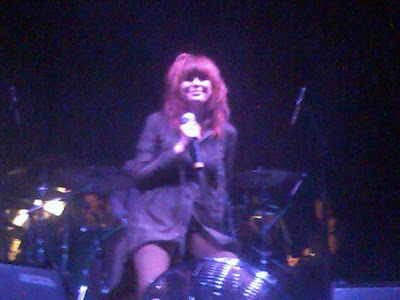 Pre-Divinyls days she was a choral singer with an orchestra in Sydney making tonight's show something of a circle being completed. Towards the end of the relatively short set, some brave people including myself rush to the front of the stage - against the wishes of the frankly ridiculous security - to give Chrissie some love. Close-up, I can see her left arm is trembling as she forces her body to move about the stage and do what has come naturally to the singer for so many years now. We know the end is close when I Touch Myself begins, and Chrissie takes another chance to seat herself, almost child-like - knees together and feet wide apart – in front of the raised drum platform. The performance has been tough on her physically, but her voice and incredible presence have not wavered one bit. A final, seemingly impromptu song - a cover of Easybeats' I'll Make You Happy ends the night just as fans start to bottleneck in the narrow lanes between the seating for a final dance. To a last ovation the band line up and bow, before turning to applaud the orchestra. Director Tim Count's vision has to be applauded also, as someone who took a massive risk with a project that fell a little short of its full potential, but had real moments of greatness.